We are nearing summer at home and to a fair weather fan like me, the seashore feels all new and yet familiar. That made me think of other seashores so unlike those of New England. In Australia, there is Manly Beach near Sydney with its Blue Bottle starfish. In South Carolina, is the Edisto State Park Beach with its many oyster shells. From the beach along the Red Sea in Egypt, you can look over to Saudi Arabia. 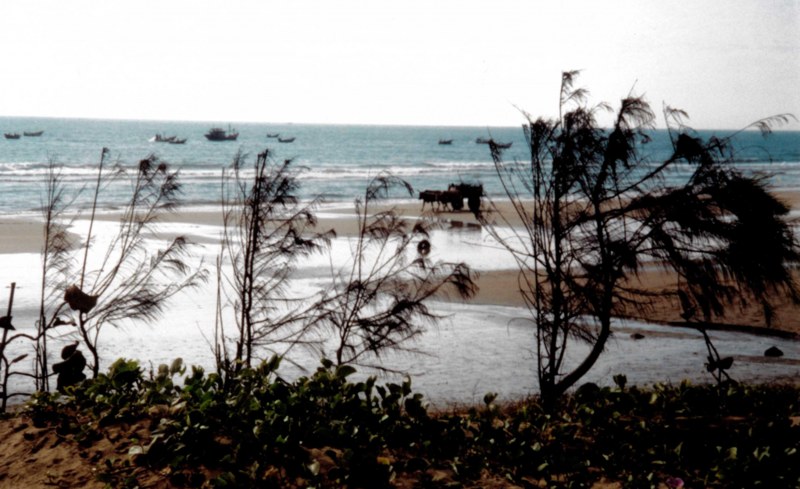 In India, there is the beach in Goa where I found a dead dog lying in the waves. In Southern California, I pondered the drug paraphernalia floating in the waves at Long Beach. 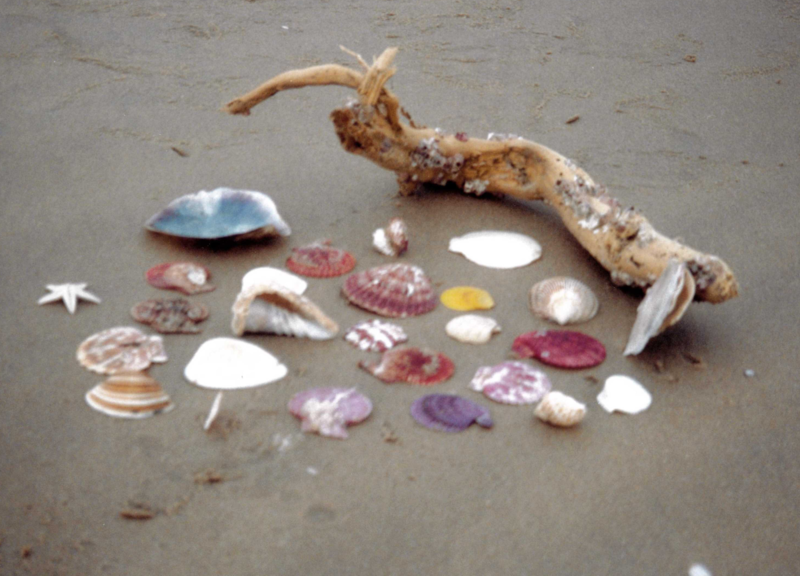 What will I find this year at the seashore? 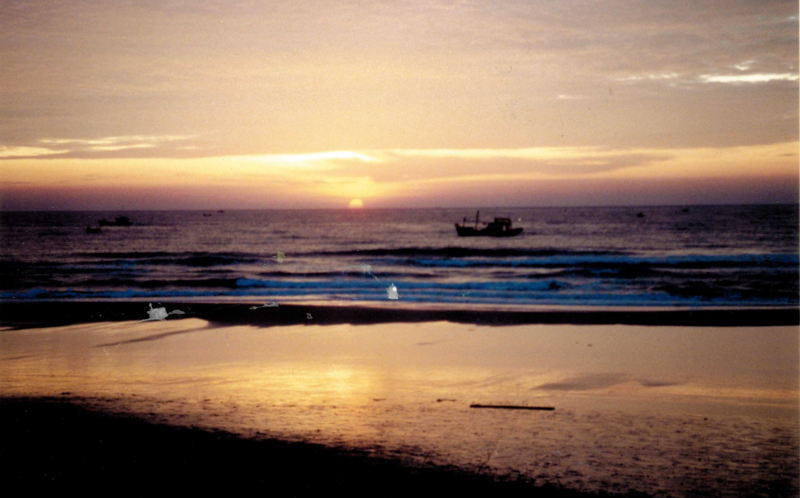 In Vietnam, is the Mui Ne Beach. That is a working beach. I stayed in a cabin on that beach so I was able to observe it at all times of day. I watched a mule and cart trudging along in the sand just after sunrise. The starfish left cookie cutter indents all over in the wet sand. The fisherman joined together to pull in a vast fishing net brought in by a Sampan (a cereal bowl like boat). 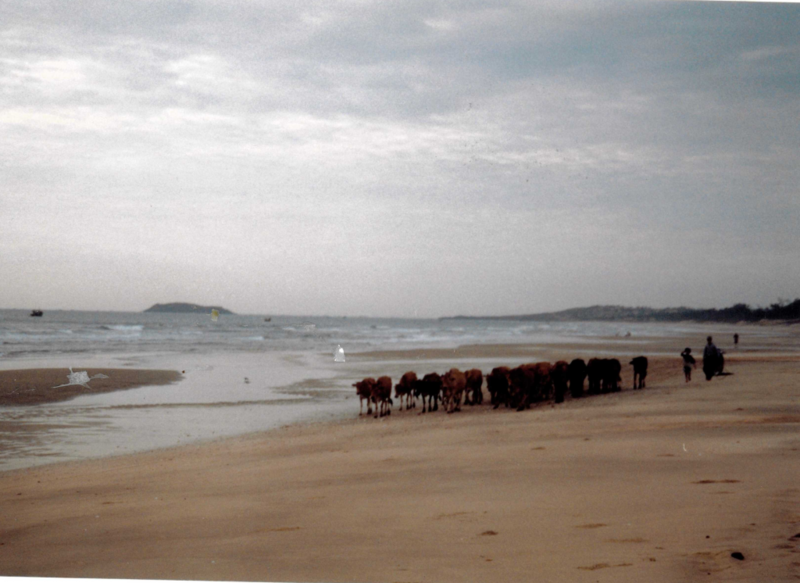 A boy herded a dozen or more cattle along the waves. Two enterprising youngsters tried to sell me starfish from their assorted pile almost filling their large pail. I seemed to be the only one expecting to relax on that beach! Here are some photos from Mui Ne. She sells seashells down by the seashore; but I don’t. And here are some summer reading ideas while your planning your beach trip!